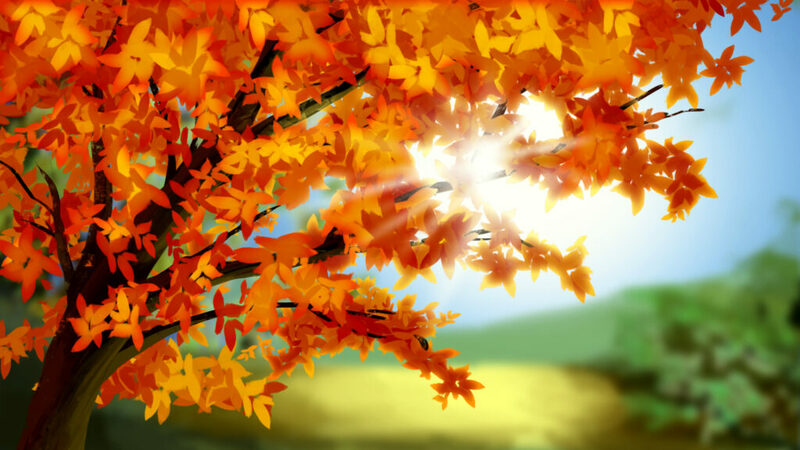 Autumnal Equinox Day marks the changing of the seasons as well as a day to pay respects to the deceased. Autumnal Equinox Day秋分の日・しゅうぶんのひ occurs on either the 22nd or 23rd of September, depending upon which day the equinox falls. Like the Vernal Equinox Day in March（３月、さんがつ）, Shūbun no Hi traces its roots to a holiday called Kōreisai皇霊祭・こうれいさい, a Shinto holiday observed to honor past 皇族こうぞく・Emperors of Japan. Two Kōreisai, the 春季皇霊祭しゅんきこうれいさい・Spring Kōreisai, and 秋季皇霊祭しゅうきこうれいさい・Fall Kōreisai occurred every year on the equinoxes. In 1947, after Japan’s post-War constitution took effect, Shūki Kōreisai was repackaged as 秋分の日しゅうぶんのひ・Autumnal Equinox Day to separate religion and state and mark the transition of the Emperor from ruler to symbol of the state. 米こめ・Rice harvesting season begins around this time and しゅうぶんのひ秋分の日・Autumnal Equinox Day is intended to be the occasion when people give thanks for a bountiful harvest. The 神々かみがみ・deities of local shrines are commonly paraded through their respective towns in 屋台やたい・food carts pulled by 浴衣ゆかた・yukata clad members of the community who chant, play 太鼓たいこ・taiko drums and play traditional flutes. Festival games and food stands are also open increasing the festiveness of the occasion.